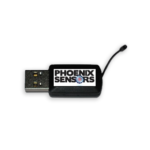 The Phoenix Sensors Wireless Sensor Gateways are advanced Bluetooth, USB, wireless, and Cellular Sensor gateways allowing customers flexibility in monitoring sensor applications, save data, and receive alert notifications. The advanced IoT security format and flexibility allow our customers to meet their most challenging applications needs. 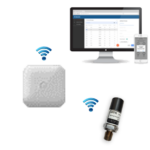 Customers can monitor up to 50 Phoenix Sensors wireless sensors. Simple to use web interface and mobile applications allow you to configure and access the gateway, as well as other devices on the network if you choose. A Phoenix Sensors Wireless Sensor Network, the data flow begins at the sensor node and travels to the Gateway which then submits it to the server. There are several forms of interfacing with the server, the most common being wireless.PhoenixSensors.com. This kind of architecture is referred to as a star network, or point-to-point. Each component of the Phoenix Sensors Wireless Sensor Network is discussed below individually. The features set, security methods, and behavior is discussed as it pertains to the system as a whole. All communication between the gateway and the wireless sensor is initiated by the sensor. The wireless sensor communicates on regular intervals, identified as their “Update Rate”. The update rate is set at a default of 120 minutes when the sensors are shipped from Phoenix Sensors, but can be updated by the user at will, ranging from 1 minute up to 12 hours (depending on software system chosen). If a sensor detects an event (trigger), it will automatically send its data, irrespective of how much time has elapsed since its last update rate. The sensors report in according to their update rate and the gateway sends a response. Should the sensor not be able to reach the gateway because it is out of range or the network is not available, the sensor is able to identify that no response was received. It will then try to submit its data again. If a response is received, it continues on with normal behavior. If no response is received a second time, it will attempt one last time to submit its data to the gateway. If again no response is received, that data packet is eternally lost. There is no possible way to recover this data. The sensor will carry on with normal behavior, collecting new data at the next update rate and sending the new data to the gateway. Example of some sensors below. USB, Ethernet, and Cellular. The gateway aggregates the data incoming from the sensor nodes. The data is also encoded using Phoenix Sensors proprietary radio protocols. The radio is FCC approved (ZTL-RFSC1). The Ethernet gateway operates by default on port 3000 and has DHCP as the default. The gateway collects the data from the sensor nodes and then dumps it to the server every 5 minutes. All settings, including the gateway update rate, are configurable by the user. It has additional memory included so that it can store messages from the sensors indefinitely over several hours (if needed). Messages that are not delivered to the server, will be delivered in a new connection, usually immediately after the first. In general, no messages that made if from the WITs to the gateway are lost. 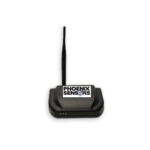 The Phoenix Sensors Cellular Gateway is based on the latest Dual-band CDMA wireless engine and comes integrated with Phoenix Sensors’s wireless access point network (WAN) for use with all Phoenix Sensors wireless sensors. The database stores the account and customer information, data history and current readings, as well as sensor configurations. It sends alerts based on how the user has configured them in Phoenix Sensors (www.Phoenix Sensors.com). It will also send an alert if the entire network has not been active after a period of time. No data messages that came up from the sensors are ever deleted or lost. They are stored indefinitely on the server. The data is encrypted with 256 bit encryption for security. The Server is a Request-Response set up. The gateway or the interface initiates communication and the server responds. The main interface is the web page, wireless.phoenixsensors.com. There is a login that requires a username and password. Other forms of interfacing include the iPhone App, Emails and Text Messages that are received sent from the network. From the Phoenix Sensors interface, a user can view the data coming in from the sensors including historical data, change the configurations on the sensors and gateways, set up notifications and alerts, and take advantage of other features such as the sensor map and charting abilities. The iPhone app allows the user to see the current data reading only (no history), the status of the sensor and allows for enabling/disabling notifications. Emails are sent from the server as notifications and alerts for sensors and on behalf of the network. They are SMTP and plain text. Text messages (SMS) are alerts sent from the server in plain text over SMTP. Voice calls are available in some areas, and are charged credits based on the user’s region.